Tonight, with the support of the Mar Vista Community Council Green Committee and Backwards Beekeepers, Chelsea and I along with Maritza Przekop made a motion before the Mar Vista Community Council to do a feasibility study for legalizing bees in Los Angeles. We won unanimous support and the feasibility study is moving full steam ahead! They say that you don’t choose to be a beekeeper, but rather the bees choose you. So when a swarm of honeybees showed up in our organic garden on my birthday this Spring, we were recruited into the ranks of beekeepers, an order that includes everyone from Aristotle, the Apostle Luke and Alexander the Great to Ben Franklin, Thomas Jefferson and Thomas Edison. As avid gardeners, Chelsea and I had been following the Backwards Beekeepers blog for several years prior to the swarm showing up, so we knew exactly who to call. A few hours later, a volunteer from the organization showed up and removed the bees without incident. We were able to find a new home for them in Santa Monica where they are now happily making honey. This experience drove us to learn more about honeybees and to get involved with the Backwards Beekeepers, an organization committed to saving bees from extinction through education, activism and best practices for keeping healthy bees. The more we have learned about the plight of the honeybee, the more we are drawn in, like honeycomb filling in a frame. The histories of the human species and that of the honeybee are inseparable. Neither species could have evolved to present conditions without the symbiotic relationship that we harbor. The reason for his grim prognosis is the fact that bees pollinate 80% of the world’s plants including 90 different food crops, which means that 1 out of every 3 bites of food is thanks to a bee. Unfortunately, we have real reason to fear the specter raised by Mr. Einstein. Over the last three years, more than one in three honeybee colonies collapsed nationwide, a phenomenon now called Colony Collapse Disorder or CCD. And while there is no one smoking gun causing CCD, scientists now widely agree that it is a result of a combination of factors, made manifest by industrial beekeeping which involves trucking thousands of hives great distances to pollinate crops, exposing bees to countless pesticides, and interfering with the species natural defenses by treating them with miticides and antibiotics and feeding them high fructose corn syrup. This deadly cocktail has made bees incredibly vulnerable and on the brink of collapse. If present trends continue, scientists estimate there will be no more bees by 2035. That is, only if we fail to act, if we fail to recognize this disaster in the making and don’t take strong action to counter the slow march to extinction. The best science tells us that the future of the honeybee and thus our future lie within the urban environment. Despite the irony, cities actually provide safer habitat than the farms and rural areas traditionally associated with beekeeping. Cities provide a much more diverse source of forage for bees, drastically reducing if not eliminating the need to artificially feed bees. 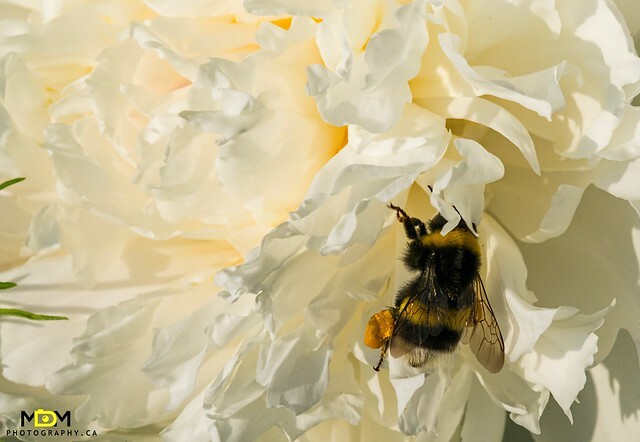 Rather than having to eat exclusively whatever is in bloom wherever they have been unloaded from the trucks, city bees are able to find everything they need in people’s gardens and landscaping. And due to most people not wanting pesticides on their property or near their family, bees are granted a ‘get out of jail free’ card, thus eliminating one more reason for their decline. The city environment is therefore the last refuge of the honeybee. Atlanta, New York, Seattle, Portland, Denver, Spokane, Chicago, San Francisco, Toronto, Vancouver and most recently Santa Monica have all taken decisive action and legalized beekeeping. We are here today to begin the process of adding Los Angeles to this list. We believe it to be a necessary and just measure requiring immediate action. We humbly request that you consider our motion in the spirit of preserving the future of the honeybee and thus the future of us all. Just finished making our first batch of HoneyLove California Orange Poppy Seed Packets! JOIN US – JUNE 14TH !!! We are presenting an “Urban Beekeeping Pilot Project” to the Mar Vista City Council in the hopes of beginning the process of legalizing beekeeping in Los Angeles – COME OUT AND SHOW YOUR SUPPORT FOR HONEY BEES!! New York, Seattle, San Francisco… and most recently SANTA MONICA have legalized beekeeping…. Now we NEED YOUR HELP to get Los Angeles up to speed! If you can’t make it – you can also email Bill Rosendahl to show your support! Check out the list of Los Angeles Urban Beekeeping supporters so far!